After a very short while this WarioWare game will have small kids screeching and jumping around in excitement. 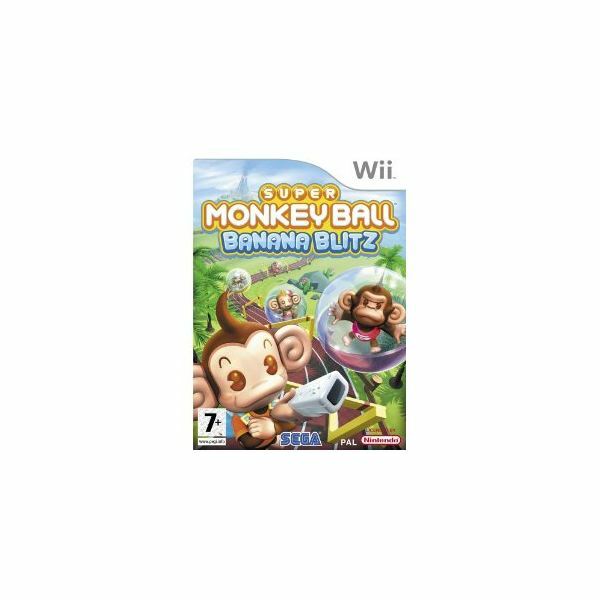 It is definitely one of the best Wii games for small kids that should be played in short bursts (to save adults from going crazy), but is a definite winner with young children. The small tasks, each only lasting seconds each, is enough to keep children engaged until the next task comes along. I’ve also found it definitely improves a child’s coordination, visual recognition, and memory too. The tasks are various, and each include holding the wiimote in a different way to achieve an end goal such as picking a nose, sawing through a log, or preventing a brush from hitting the floor. 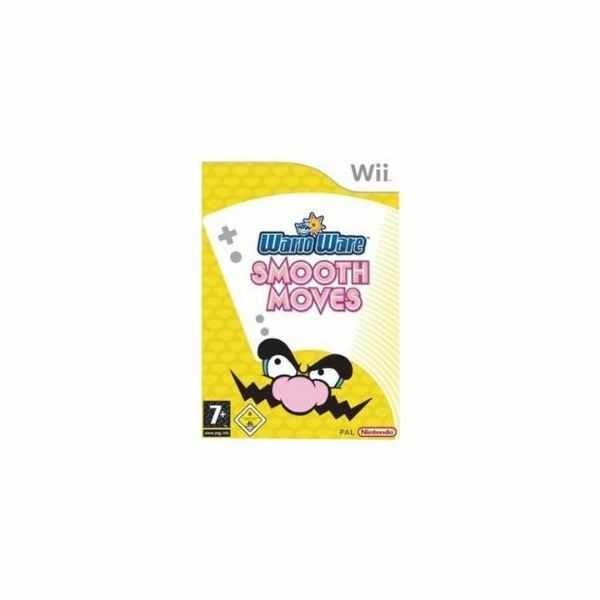 A definite winner of a game to try from this smooth moves collection, is the jumping game. This needs two players and the wiimote with the nunchuk. You hold a controller each and jump over obstacles on the way – giving your child some exercise too. characters you can choose to play with. There is something for everyone from little girl Yan Yan, to the aged Doctor Monkey. The game is a composition 50 different puzzle or party games, often with multiplayer capability – so if you have more than one controller, you can keep more than one small child happy at a time. You can flap your arms like a bird and score points going through rings, or use the wiimote controller as a bat, skipping rope, or steering wheel, plus many more options. A lot of these games will require parental assistance, but this won’t detract from the fun and lively playing atmosphere – ideal for children of any age. One of the hardest things about choosing a game suitable for small kids is the PEGI rating. Because a game is rated as being suitable for ages over 3 years, we make the natural assumption that it will be easy enough for a 3 year old to play. Essentially this rating is based on the imagery the child will see, and not if the child's abilities will be sufficient to play the game. Carnival Funfair Games is thankfully one of the games that a small child can easily pick up and play under their own steam. They are free to choose and customize their own character, and then go wondering around the funfair, choosing what games to play as they go. Some games definitely need Mom or Dad's help initially to show the child what's required, but many of the games are simple enough for a preschooler to manage. Classic carnival games like Frog Leap, Duck Shooting Gallery, and Ring Toss, are just a few of the 25 offered, that a child will able to play on their own. Look out for extra fun things to do on the way, like playing on the teeter-totter, buying candy floss, catching butterflies and even an escaped chicken, to unlock extras to add to your wardrobe. 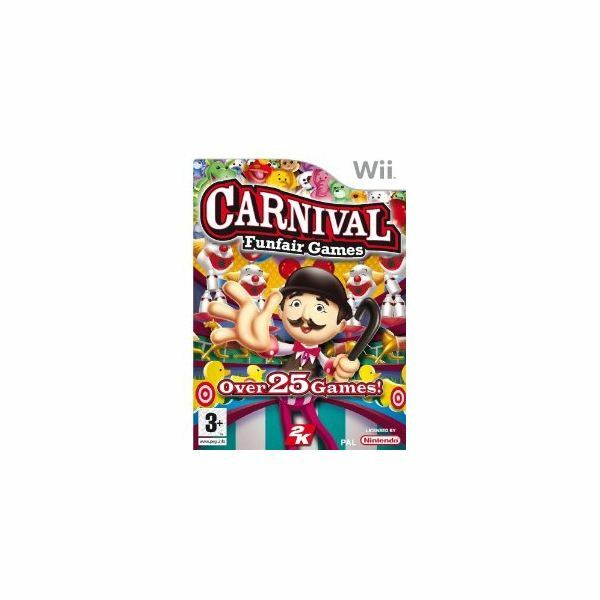 Carnival games also offers link up capability with the DS for added fun. 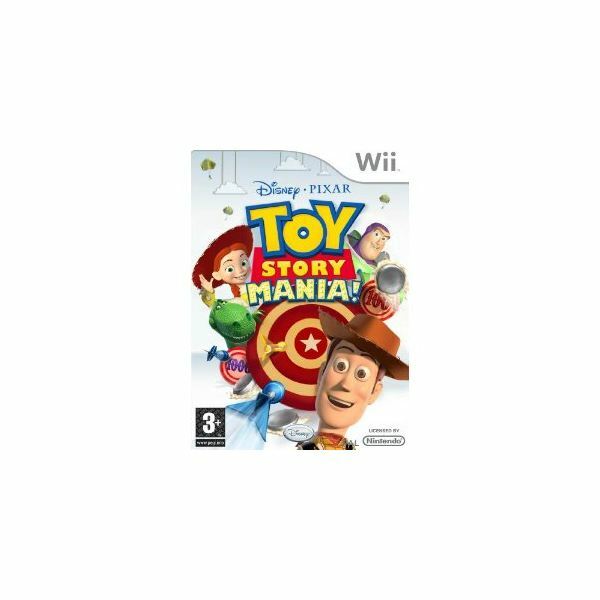 Toy Story Mania gets my vote as one of the best Wii games for small kids, over the newer Toy Story game offering, as it requires less parental assistance – although playing a two player game with your youngster is a great fun option! Adapted from the ride at Disneyworld, this game is essentially a target shooting game, with a Toy Story theme. Simply point your controller at the screen and press the button to shoot – perfectly easy for little hands to cope with. There are 10 shooting galleries, but each one has different games within it, making around 50 different playing environments. There are also some puzzle levels too, but younger players may find this boring, and a bit of a stretch on their capabilities. You choose which games you want to play at the beginning and then each one appears in order on the screen, so no need to keep heading back to the menu unless you want to. At the end of the game you get awarded prize tickets, that toddlers seem to particularly enjoy. There are also bonus rounds that can be played in 3D, with the supplied glasses. But be warned that these don’t sit comfortably on a small child’s nose, and they tend to just get annoyed with them. Still one of the great wii games for kids though. Princesses. Cinderella, Ariel, Snow White, Belle, and Jasmine all feature in their own environments for your child to explore – for some reason Aurora is absent from this game. 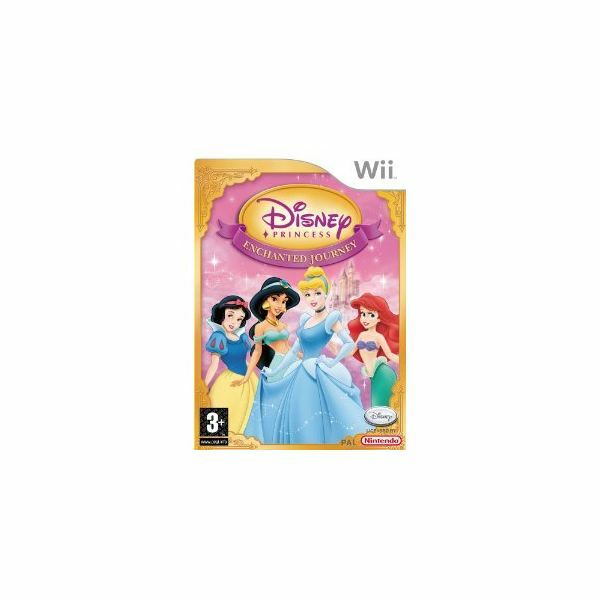 Whilst your small child will need help with this game in the beginning as she learns the controls, once each Disney princess world has been completed, the world is then free to be explored at will. 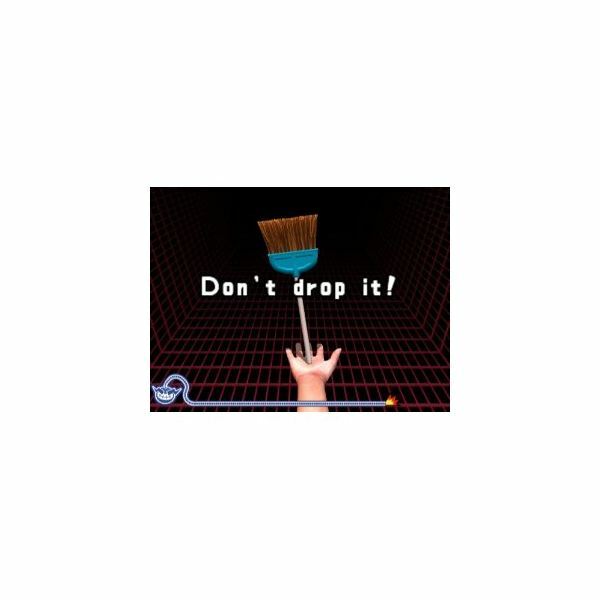 The wiimote is used as a magic wand to restore time, sound, color and trust in each environment, casting magic spells and doing magic twirls as you go. There are mini games, such as catching falling pears in a basket, and the "tag a bog" game – where you perform magic to turn bogs (troll-like creatures) into butterflies. There is also a two player option, and little girls will love visiting the mirror in the castle where they change their dress, shoes, and even hairstyle. For a more boy-friendly gaming option, see the "best of the rest" section below. There are so many titles that could be considered "the best" Wii games for small kids, such as these offerings in the "best of the rest" category. Ben 10: Protector of Earth, is more suitable for younger children than any of the other Ben 10 titles, and is a worthy equivalent for young boys, as opposed to Disney Princesses. Lego Star Wars, requires definite parental input but is still an engaging game for a short period. Always a winner with most members of the family is Super Mario Galaxy. Whilst this does definitely need a parent to help, there are elements that a child can participate in, such as collecting jewels with a second controller, and walking around the menu area just exploring, without the fear of falling over the edge – if this happens Mario is rescued in a bubble and brought back to the surface. Definitely one of, the best family Wii games that parents and children can play together. Although these games are great Wii games for kids, and are highly appealing to young children especially, don’t forget that they offer adults a lot of playing fun too – enjoy!